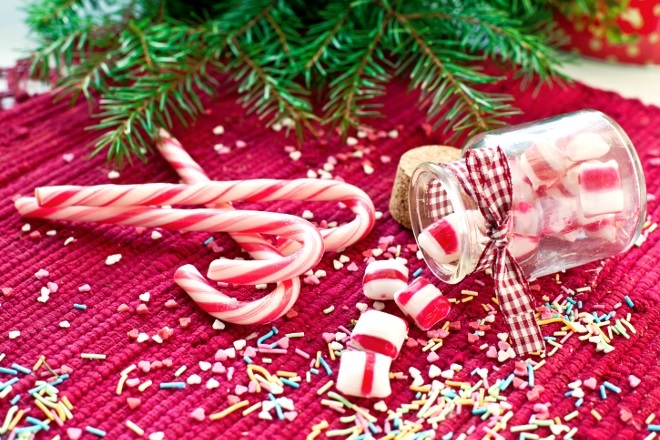 With Christmas come and gone, chances are someone will have spilled something somewhere over the festive period. Whether it’s gravy on the festive table cloth, mulled wine on the carpet or mince pies on the sofa – it’s a right royal nuisance, isn’t it? The trick with mulled wine – or any other wine spills for that matter – is to act fast. 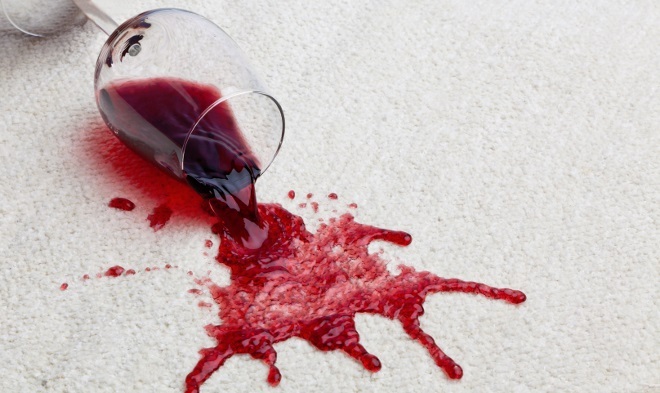 Blot as much of the spilled wine as quickly as you can with a paper towel, dabbing carefully at it to stop the stain from spreading. Never rub at it! Dampen the area with a little water and blot again. For carpet stains, sprinkle the affected area with talcum powder and cover with paper towels, then place a heavy book wrapped in cling film on top and leave for 12 hours. With any luck, the talcum powder will have absorbed the mulled wine so that you can hoover it up. If that hasn’t worked, a professional carpet cleaning service should be your next port of call. Using a blunt knife, scrape away as much of the solids as you can, then put a little white vinegar on a clean cloth and dab the area gently. Next, make a soapy solution with a mug of warm water and a teaspoon of washing powder and gently dab this onto the stain with a damp cloth. If the stain is still there, repeat with vinegar and again with the soapy solution. Once the stain has disappeared, rinse with cool water. If all is in vain, call Apple Clean for professional attention to your carpet and upholstery stain. Gravy splashes on fabrics should be dealt with straight away before the stain sets. Wipe away any excess gravy with a paper towel, then blog the stain gently with a fresh paper towel. Next, apply a paste of water and baking soda to the stain, gently dabbing with a damp sponge and wiping away. If you’ve left it too late or the stain is simply too large, call the Apple Clean team for professional upholstery cleaning. Wax stains on your carpet or sofa can be tricky to remove, especially if they’re not dealt with quickly. 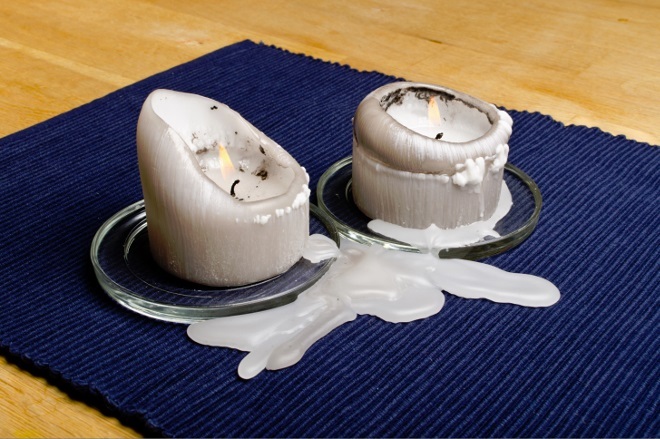 The longer the wax has a chance to penetrate the fabric, the harder it will be to remove. First of all, apply a bag of frozen peas (or sandwich bag filled with ice cubes) over the wax stain to set it solid quickly. When it’s set, chip and scrape off as much as you can with a blunt knife – being careful not to damage the carpet or upholstery fibres – and hoover up the loose cold wax. Next, place several paper towels over the remaining stain and carefully slide an iron (on the lowest setting!) over it. This should melt the remaining wax and transfer it to the paper towel. If all else fails and the stain refuses to come out, call 0800 587 4571 and Apple Clean will remove the stain swiftly and professionally.